By Ulla Roschat. Hexenjäger, a young 4 piece doom band from Saint-Nazaire/France offer us their first demo released earlier this year. It comprises of two songs, "Hexenjäger" and "Murk", both classic stoner doom with a traditional clean vocal style and a psychedelic touch. 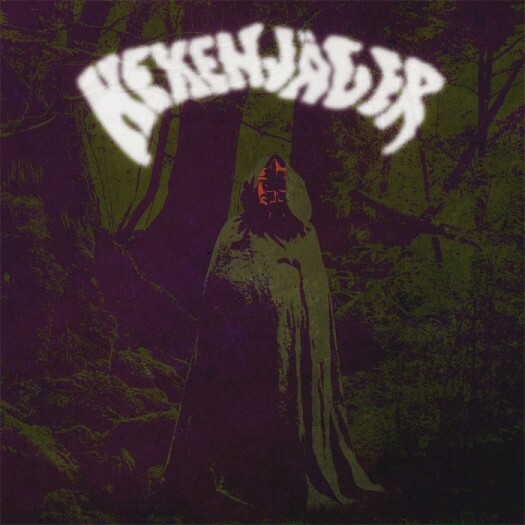 The first song "Hexenjäger" (German for witch hunter) is a slow paced, slow burning beast and 20 minutes of length. Hexenjäger, a young 4 piece doom band from Saint-Nazaire/France offer us their first demo released earlier this year. It comprises of two songs, "Hexenjäger" and "Murk", both classic stoner doom with a traditional clean vocal style and a psychedelic touch. The first song "Hexenjäger" (German for witch hunter) is a slow paced, slow burning beast and 20 minutes of length. It starts off with a horror movie sample setting the scene and the atmosphere of an inquisition theme, which the music picks up as it sets in. Highly repetitive and minimalistic riffs, slow and low with a touch of psychedelic sounds create spine chilling atmospheres of a ritualistic brutality and relentlessness. The clean vocals are kind of riding on the drawn out riffs like a surfer on a wave that has just enough tension not to collapse and this makes everything even more depressive and heavy. It’s not easy to keep up this low simmering tension over a timespan of 20 minutes, but Hexenjäger master it pretty well with those pinches of psychedelic and ambient sounds, pinches only, to not disturb the minimalistic style. The other song "Murk" is "only" 8 minutes long, faster and more variable in pace than "Hexenjäger", but it’s still slow. Here the emphasis goes more in the direction of a fuzzy bluesy stoner doom with the same "hovering" clean vocals. This demo shows much musical potential, an individual take on the doom genre with different nuances in just two songs. I’m really excited to hear more from Hexenjäger.